You won't have to travel too far this weekend to get a dose of some international music. This weekend, Goodbye Blue Monday will be one of the hosting venues for Tazigen Festival Volume 2: NYC, a Japanese Independent Music Festival that first took place last January in Koenji, Tokyo. 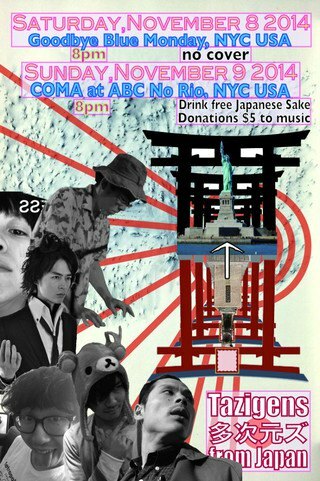 For one weekend only, both Japan and NYC based Japanese artists will perform in various locations of NYC such as downtown's ABC No Rio and our beloved Goodbye Blue Monday (Saturday Nov. 8 at 8PM, no cover). 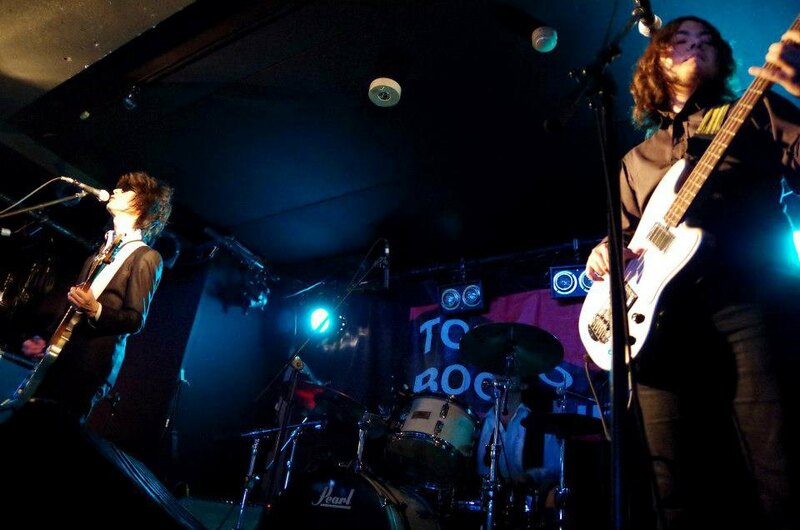 Festival organizer and a musician Youth Yamada explained to Bushwick Daily how Tazigen came about: "In 2012 Dutch band 'I Saw the Deep' approached Japanese musician UBI Quitous (of UBI & FU), explaining to him that they wanted to perform in a music festival in Japan," Yamada said. "They met each other in Toronto where they were all performing together at 'Indie Week 2011'. UBI could not think of any Japanese music festivals that he could put them in, so he decided to make a festival. UBI ended up finding a public hall in Tokyo where theatrical performances are usually held and began organizing the festival details with Ryohei Otsuki, a friend and musician from PALESS." Yamada goes on to explain how the previous year's festival includes performers of all kinds (from musicians to jugglers to poets) and that people of all ages and backgrounds thoroughly enjoyed the event. "It was tough to do everything by ourselves - stage setting, lighting, baclines, receptions and so on," Yamada remembers. "This time the festival will be a combined effort from all of the musicians and performers involved". So, if you are in the mood for some tunes from overseas head down to Goodbye Blue Monday this Saturday at 8pm - it should be a fun time! Free admission.